Gymnasts are amazing athletes who carry on a tradition that can be traced back to ancient Greece and the Egyptian empire. When the Olympic Games take place, it is one of the most highly anticipated events. Young people push their bodies to new heights while proving the strength and agility with artistic flair. 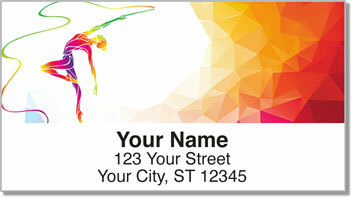 Gymnastics Address Labels from CheckAdvantage are a colorful tribute to his stunning sport. 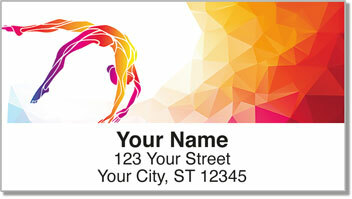 You can use this attractive design on every envelope to save tons of time. All you have to do is peel and stick the convenient label on anything you send in the mail. 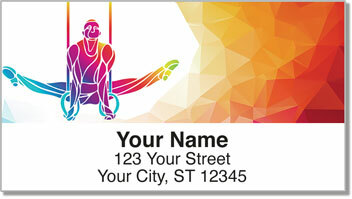 Get your own Gymnastics Address Labels right now! 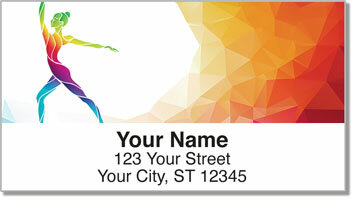 This sports-themed selection can also be ordered as a set of matching personal checks.